Once upon a time, starting a t-shirt line was a difficult proposition for entrepreneurs. Thanks to the Internet, it’s now easier than ever to create a t-shirt line and rake in the dough. One of the best ways to profit from custom t-shirts is with Teespring, a hot new startup that’s making major waves in the fashion industry. All you have to do to sell shirts with Teespring is come up with a catchy design that sells to your target market. Teespring produces the t-shirts and ships them to customers for you. Do the following if starting a Teespring business sounds appealing. First off, you’ll need to do a little audience canvassing and figure out what kinds of customers you’d like to target. Comb through any available data you can find regarding the specific consumer demographics most likely to consistently shell out money for t-shirts. Just about any target demographic can be lucrative if you know how to appeal to it. Identifying the best age and socioeconomic ranges is going to be the key to your success. You could use polls on social networking sites like Facebook or study popular hashtags on Twitter to pin down the best niches. Once you’ve decided on a promising consumer niche for your first t-shirt, you’ll need to figure out how to best appeal to it. You might want to make your t-shirt line revolve around a specific activity such as fishing or MMA. Alternatively, you could come up with shirts that commemorate an event such as a national holiday or a local celebration unique to your area. Shirts aimed at specific professions such as teaching, construction or programming are always easy to move. Just be sure to avoid generic shirt designs that have been overused. Even if you don’t have an artistic bone in your body, you can quickly develop novice design skills by playing around a little. Creative suites like Photoshop and GIMP are a must during the learning process. You can use them to modify and combine existing clip art images to come up with unique designs that look professional. Additional apps that may come in handy might include Pixlr, SketchUp, Inkscape and Paint.net, to name just a few options. Take some time to experiment with each program to hone your skills and see what works best for your purposes. No matter how confident you are in your abilities as a designer or an entrepreneur, it’s always smart to have some freelancers on speed dial. Check out sites like Fiverr, Upwork, eLance and 99 Designs to connect with topnotch professionals that you can pay to expedite the creative process. It’s also a prudent move to locate some branding and marketing professionals that can help you to come up with winning t-shirt ideas that have a good chance of taking off. They’ll come in handy later when you’re fine-tuning your business model via trial and error. 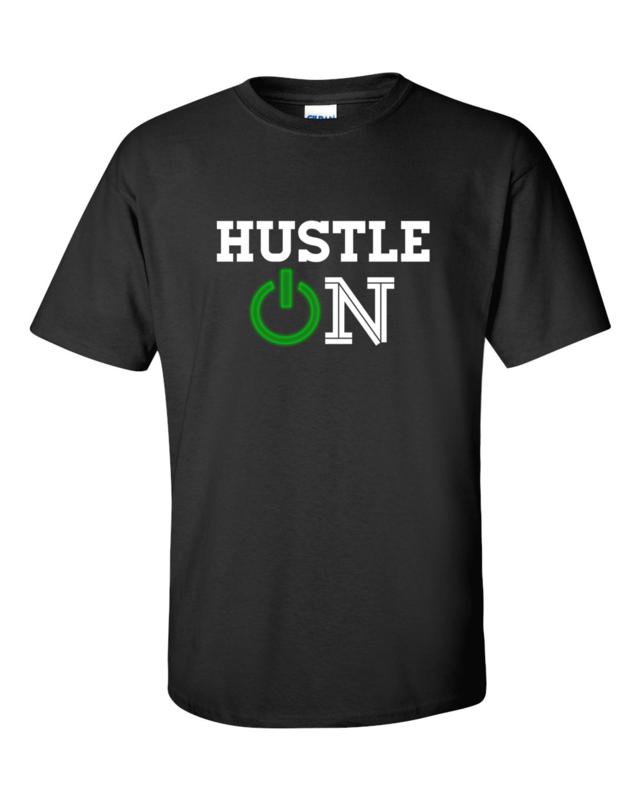 Starting a t-shirt business via Teespring may or may not require you to jump through the typical hoops associated with other types of online and offline businesses. It’s best to play it safe and simply go through the motions to avoid complications down the road. For starters, form an LLC or an S corp for tax purposes. Contact local or state commerce officials to see if there are any special tax issues to deal with related to earning money online in your jurisdiction. Be sure to copyright any work you’ve created or paid for. Once you’ve got a design that’s ready to go, getting your first Teespring campaign off of the ground is pretty straightforward. First off, sign up for a free account on Teespring. Then, simply upload your design and select your shirt material, size range and sales goals. Teespring works on a threshold model just like Kickstarter. If at least 10 people decide to buy your shirt, then they’ll be made and shipped to customers. You can actually design a rudimentary shirt using Teespring’s own built-in software that allows for simple text in a variety of colors. While Teespring gives their users plenty of assistance and advice when it comes to promotion, you’ll typically need to market extensively via third-party platforms for true success. The usual organic methods like Facebook, Twitter and Google+ as well as niche forum sites are always productive avenues of attack. Paid promotional methods like Facebook Ads, Promoted Tweets and Google Adsense can be highly effective if you know what you’re doing. There are a number of great Teespring-specific Facebook Groups that can help you to make your campaigns a success and take things to the next level. You may find that it takes half a dozen or more attempts to zero in on a shirt design that pays off. Likewise, you may encounter a streak of beginner’s luck and have your first few shirts go gangbusters. The important thing is to keep an eye on how your designs are received and tailor your approach to appeal to the broadest consumer base possible. Don’t get discouraged if you’re not a natural right off the bat. Sooner or later, you’ll find your wheelhouse and be better able to predict what will work. After you’ve gotten your first taste of success on Teespring and know your initial target audience pretty well, you should look for new demographics to pursue. Even if its an area where you don’t have a lot of personal experience, you can use your existing freelancer relationships to guide your efforts. Spending a few hundred dollars on consulting from a branding or marketing expert can be a worthwhile investment if your shirts eventually sell by the thousands. Some Teespring entrepreneurs have earned six-figure incomes from their accounts by consistently building their business over time. Once you’ve gotten the swing of things, it’s time to kick it up a notch. Rather than launching and promoting campaigns on an individual basis, use Teespring Storefronts to group t-shirts that would appeal to a particular demographic. They’re like Amazon Webstores in that they can ramp up sales synergy in a big way when configured wisely. If you have a Shopify store where you sell other physical or digital products, you can cross-promote your creations. There’s ultimately no limit to how much money you can make with Teespring given a little planning and dedication.